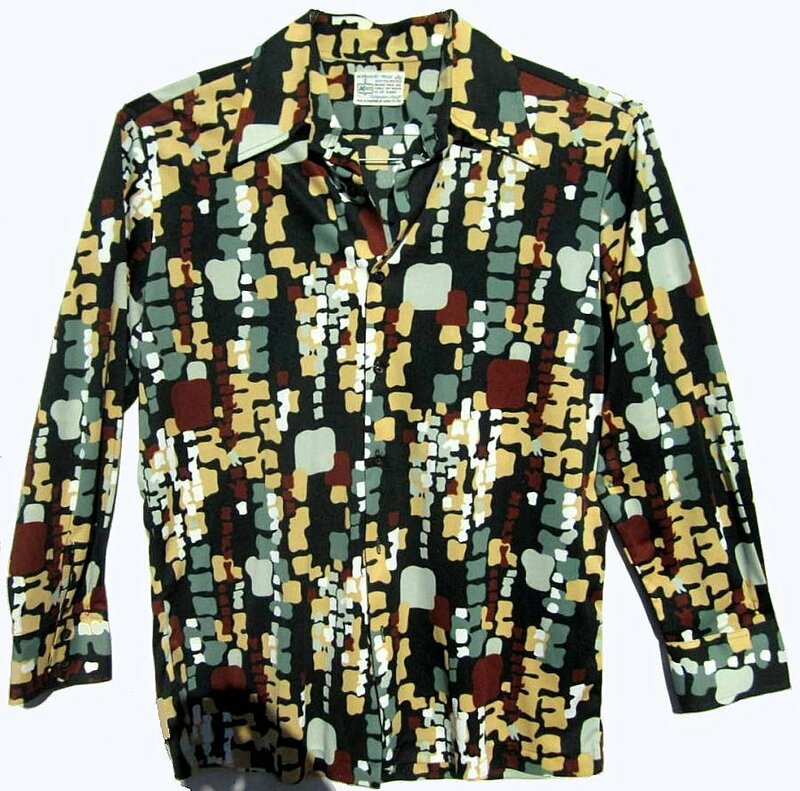 This shirt has a very loud abstract pattern, yet it is attractive in person. The colors are balanced and go together well. The dark green background is splattered with mint green, sage green, brown, white and marzipan blots. The fabric is lightweight doubleknit polyester with no spots. It was sized L, but would be a today's size M. It is 46" around at armpit level for a loose 42 chest fit. The vintage shirt is in excellent condition. Machine wash inside out. Hang dry. Sale is final. Measurements are provided.